Viewers were quick to take to social media and their private WhatsApp groups to share their thoughts on last night's first episode of The Rotunda last night which aired on RTÉ2. 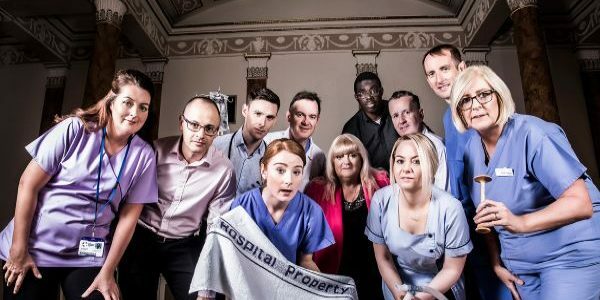 The six-part, fly-on-the-wall documentary is based in Ireland's oldest maternity hospital, The Rotunda in Dublin's city centre. Ireland's version of One Born Every Minute – it offers a glimpse into the highs and lows of human life; the screams that come from pain and ultimately joy upon the safe delivery of their baby, the silence of devastating loss, and the emotion of bewildered fathers as helplessness turns to complete awe. Parents, mums-to-be, and viewers alike were united in the moments they enjoyed the most. Mum-of-seven and grandmother to 18, Kay Cramp was a firm favourite as she acted as her daughter's birthing partner, while the father prayed in the waiting room. While some were both delighted (and horrified!) to see the reality of a range of birth experiences in this first episode, for some, seeing a C-section surgery take place was a step too far for those that were squeamish. While aspects such as these were divisive, it was one couple's devastating story that united all in heartbreak. Their baby Malachy suffered a fetal anomaly, and as they told their story of loss with strength and dignity on screen, the nation mourned with them. Thank you all for watching #TheRotunda with us. We're still in awe at the families who shared their stories. It was a beautiful, complex, heartbreaking and heartfilling journey, like pregnancy, like childbirth, like life. How brilliant are the midwives in #TheRotunda? What a fantastic idea for a documentary after all the discussions we have had as a country about maternal and reproductive health. With the news that public forums sharing 'horror birthing stories' are causing mums to reconsider a natural birth, the more graphic elements of the programme will always seem questionable to some. For those mums looking to gain a more personal insight into the realities of pregnancy, birth and parenting, sites like MummyPages and shows such as The Rotunda are all too important. They share the joy, the reality and invaluable insights grounded in each woman's unique experience of giving birth with one another. Through our MummyPages Voices blogger platform and our #MumTruths podcast series, we allow our mums to share their pregnancy, birth, and parenting stories to empower other women to be more prepared and confident on their journey. What's clear from the reaction of viewers so far, is that while The Rotunda series won't be for everyone, it will start some very important discussions in homes across Ireland around birth choices, perinatal death and many more important topics not often discussed which can only help to educate and inform mums and family members at this key time.